This is what's missing from your morning routine(and your life). Darker mornings are creeping in and we all know what that means. It’s getting colder outside, the snooze button is that much more enticing, your duvet is so warm and you are fairly certain the floor beside your bed has turned to ice over the course of the night. Despite promising yourself that you would be organised for the week by planning your outfits the night before, getting up early and doing some yoga prior to leaving the house, spending 10-15 minutes swilling coconut oil around your mouth in persuit of a winning smile for the day ((Coco)nuts about oil pulling…) , doing your meal prep in advance and making sure you have taken time for a nutritious breakfast. BAM! All those good intentions have disappeared along with the warmth from the central heating (most likely because you have lost the battle of the thermostat with your partner, as they crept out of bed and adjusted the temperature as you slept). The alarm goes and the inevitable happens…you press snooze, you do some calculations and workout that without yoga/breakfast/packed lunch making you can sleep for 30 more precious minutes. Another alarm, another snooze….who needs to wash their hair, it will last at least one more dry shampoo. Another alarm, another snooze… It’s totally acceptable to do your make-up on the train (it’s not BTW). One thing most of us make time for in the morning is…Caffeine! Usually taken in the form of tea, coffee or if you are like me on a particularly bad morning, chocolate. The Japanese have been onto the power of green since forever. In Japanese culture there are some tastes I find questionable, for example, the consumption of raw horsemeat. Now I’m not into horsemeat- raw or otherwise. That said, as far as Matcha goes, the Japanese are most certainly onto something. What is Matcha? Matcha is made from green tea leaves, however, unlike green tea (for which the leaves are steeped) matcha is ground using the whole leaf- the result, a superbly powerful and nutritious powder which can be added to pretty much anything. I have listed a few suggestions below or for more recipes and to purchase matcha products visit pure-chimp. What are the benefits of Matcha? It’s a “superfood”, its anti-oxidant rich, has anti-inflammatory properties and it boosts metabolism. The best part? It naturally contains caffeine, so switch your morning habit for a matcha based beverage and feel the difference. Morning Matcha Latte- 1/4 cup boiling water, 3/4 cup coconut milk/almond milk or half-fat cows milk, 1/2 teaspoon match powder, natural sweetener to taste. 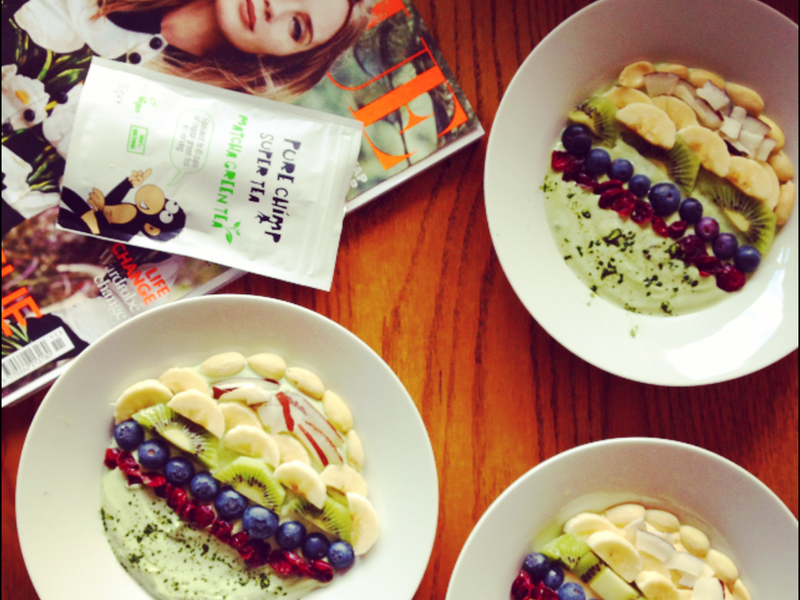 Mega Matcha Yoghurt Bowl- 0% fat Greek yoghurt of choice, whip to trap air and make yoghurt light and fluffy, sieve in Matcha to taste, sprinkle with granola, goji berries, dried coconut and drizzle with honey. Add fruit of your choice/vary according to season. I find banana, kiwi and blueberries work very well. 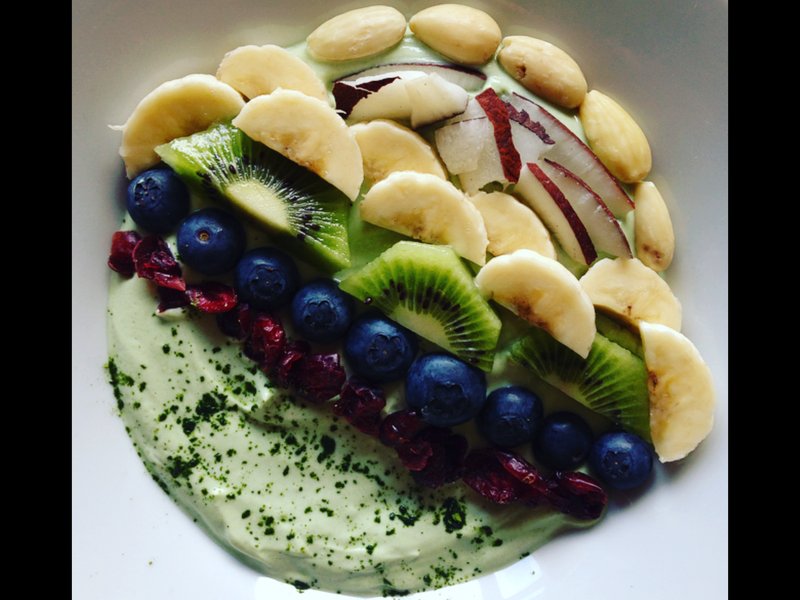 Matcha Smoothie- Add 1/2 ripe avocado, 1 tsp Matcha, 1 tsp honey, 1x banana, 1 cup Alpro Coconut milk. Blend. Serve immediately over ice. Matcha, Manouka and Tea Tree Facial Mask- Mix 1/2 tsp of Pure chimp matcha powder with 1 tbsp water, mix until paste like texture. Add 1 tbsp of honey (Manouka preferably). This mask is great for problem skin due to its anti inflammatory and anti bacterial properties. For an extra kick add a few drops of tea tree oil and a tsp of natural yogurt (it’s good bacteria help balance the skin). Swap the yogurt and tea tree for avocado if you have normal/dry skin as its great for hydration and skin plumping. 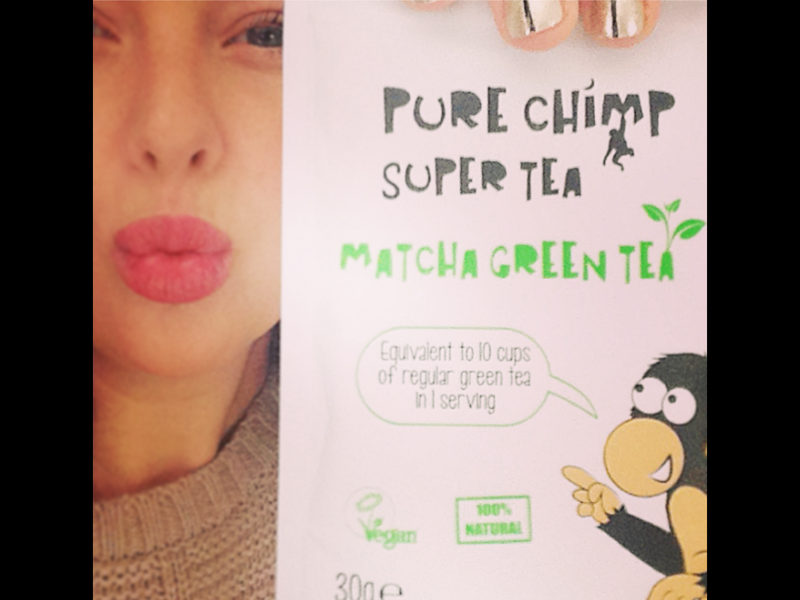 (Pure Chimp Supertea kindly provided the Matcha for this post, you can shop their products on the link below. 5% of the profits are donated to charity and products are vegan friendly). Have you made the swap? 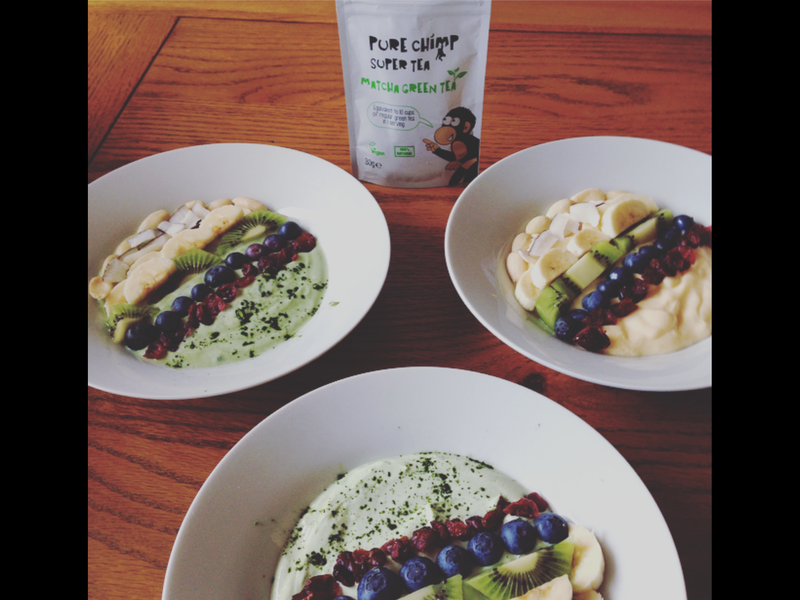 Have you got any matcha recipes? Share your experiences in the comments below, I’d love to hear your thoughts.